DimDrop can deliver your messages and content on demand or by scheduling their release. The views for creating content and messaging contain calendar widgets you can use to specify the date and time or the range your communication will be active. 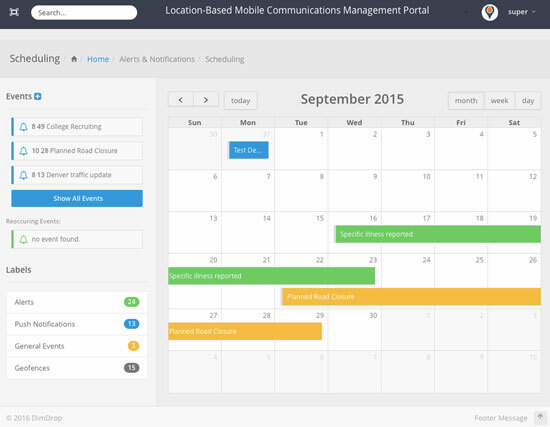 This let's you plan and organize your communications activities days, weeks and months ahead. The calendar view shows you the current schedule of communications and events for the selected time period.